What does Mercedes-Benz Service A* cost? The price for your Service A maintenance and repairs depends on which Mercedes-Benz vehicle you own. At Fletcher Jones Imports, Mercedes-Benz Service A starts at $160, but this price will vary depending on the model you drive. A technician at our service center, however, can give you a more specific estimate. What Does Mercedes-Benz Service A Entail? Save With Our Service Specials: To lower Mercedes-Benz service costs, be sure to take advantage of the selection of service specials that we offer at Fletcher Jones Imports. Use Genuine Mercedes-Benz Parts: Genuine OEM parts are made specifically for your vehicle, which keeps it in top condition for longer. This, in turn, helps you avoid frequent repairs later on. Stay Updated With Mercedes me: The Mercedes me mobile app works with mbrace® Connect. This app helps you keep track of upcoming service appointments and gives you vehicle reports. Schedule an Appointment Near Summerlin and Pahrump! 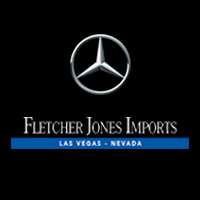 If you have questions about Service A cost or other Mercedes-Benz service prices, contact us at Fletcher Jones Imports. If your vehicle is due for Service A or Service B, be sure to schedule an appointment with our service center! **2009 and newer Mercedes-Benz vehicles only. Price advertised for Service A/Service B includes all factory required components. Please refer to your maintenance booklet for the complete list of factory-required services and details on the specific intervals for your vehicle’s year and model. 0 comment(s) so far on What Does Mercedes-Benz Service A Cost?